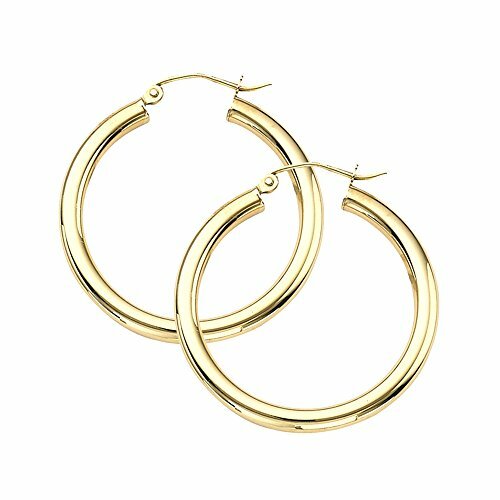 You will exemplify what's hottest in fashion when you choose these classic hoop earrings. The tube of the hoop is 3mm wide, so you quickly become the center of attention. Classic, classic, classic! They are made lightweight in 14k yellow gold so you pay less, while still creating a bold, stunning look. You will love the comfort and secure feeling when wearing these with their click-down safety clasp. Choose these now and you can wear them for decades.